General Archives | Page 2 of 5 | Chicago Car Club - The Nation's premier buyer of classic cars! Over the last few years I’ve met a number of folks who, while maybe not phenomenally wealthy, have a habit of buying cars, classics specifically, with no intention of driving or road registering them. These are people who purchase cars solely because they want to experience ownership, not necessarily the sensation of actually driving the cars. This whole concept has long since dumbfounded me; I mean, why spend all that hard-earned money if you aren’t going to ever really properly experience what the car has to offer? To a whole lot of people within the automotive hobby, it doesn’t make much of any sense. I, for one, know that I drive the wheels off my cars and have a ton of fun doing it. However, while I certainly fall more on the “driver” side of the hobby than the “collector” side, I will say that I’m starting to warm up to the idea of buying to hold. In certain circumstances, buying to hold can make a lot of sense. When trading cars on a high level, the would-be buyer is looking at the purchase through the lens of return on investment. 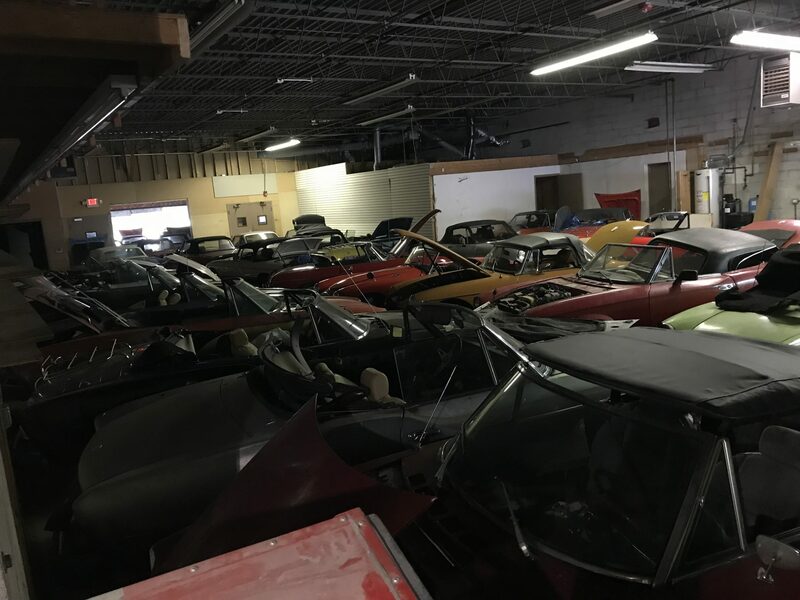 With the rates at which certain collector cars are appreciating in value these days, it’s fairly easy to see why someone with the means may buy a car and proceed to put it away in an air-tight storage container for a number of years. A handful of very special cars, the default example being early GT racing cars, may be worth a million one year, and ten million a few years later. That return is pretty tough to argue with. I will say though, the willpower behind owning such a magnificent piece of machinery and never getting the full sensory-overload experience that it could so easily provide absolutely baffles me. Regardless, yes, from a high-level investment standpoint, there are situations where the buy-to-hold approach is completely logical, and even wise. 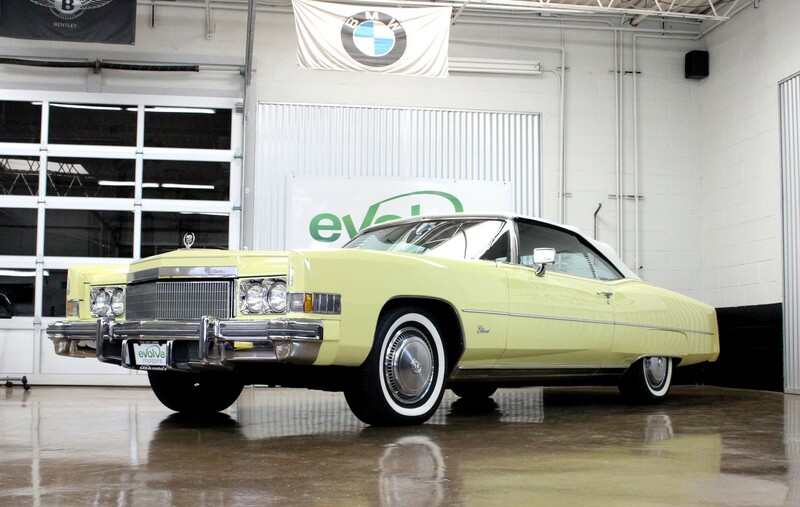 But when we’re talking about cars that aren’t particularly valuable, the buy-to-hold approach comes down to much more than just dollars; it comes down to emotions – nostalgia and lifetimes of want. 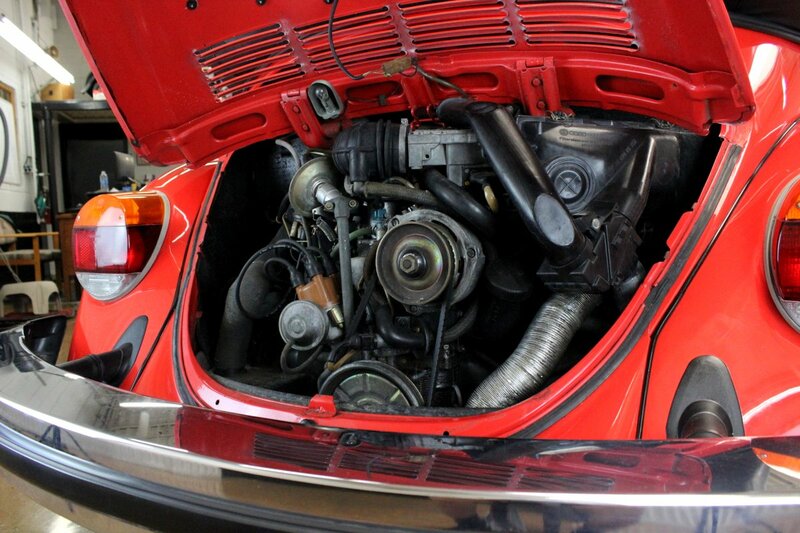 With classic cars in particular, there’s a certain pride of ownership. But wouldn’t that translate to a desire to show off the car and share the enthusiasm with those other like-minded individuals around you? Not necessarily. There are a lot of situations where that pride is internalized; there is a sense of accomplishment in owning something after a lifetime of admiration, and that’s purely an individual’s own thing. The car doesn’t need to be seen or heard by anyone other than the owner in order for them to feel accomplished in just owning the car. We have one customer, a local guy, who has a collection of fifteen or so cars. 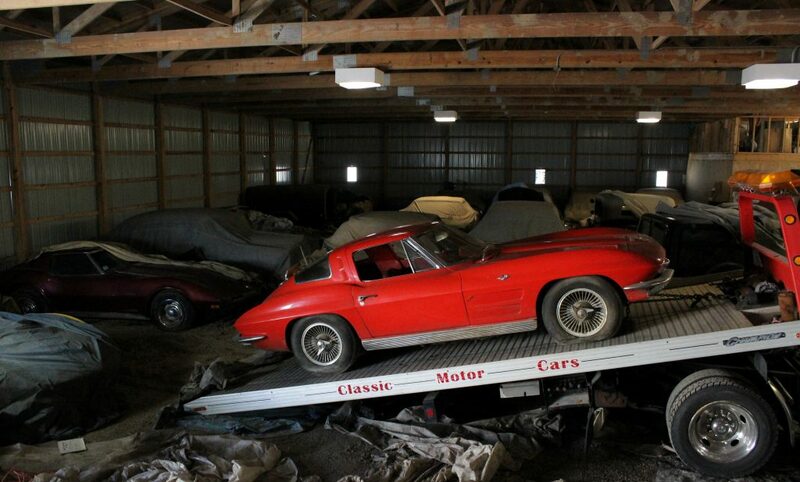 Thing is, these aren’t what we’d consider very collectible cars. 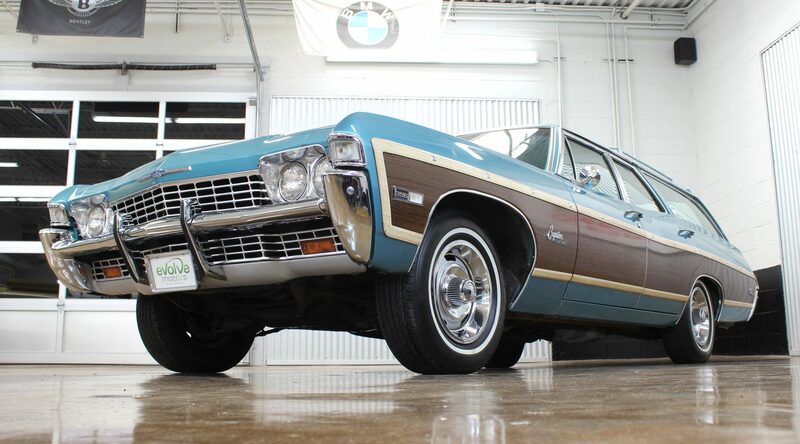 Primarily big, boxy American sedans of the 1960s. He didn’t buy any of these cars with the intention of attending car shows or reselling for a profit years down the road, they were simply cars he always told himself he one day wanted to own. So when he retired, years ago now, he began buying the cars of his youth. Just checking them off the list, really. When he came back for the fifth or so time to buy a car from us, it came up that he doesn’t actually drive any of the cars, ever. Hasn’t even road registered a single one of them. When he first dropped that fun-fact on us, I thought he was nuts. Didn’t understand it. But now, having met a few more guys like him and seen some larger collections, I’m starting to come around. I wouldn’t say I’m quite there yet, but I’m beginning to grasp the how and why. Look at it like this: Aside from the emotional ties and bucket-list aspects involved in purchasing decisions, when it comes down to it, some cars beg to be driven while others do not. For example, I’d love to own an early soft-window 911 Targa; I’d take the top off and drive until I’m sunburnt and delirious. However, I’d also love to own an early Dodge Power Wagon. Miserable to drive, but so, so cool. Given the means, I think it’s pretty likely that I’d find a spot on my property to permanently park a Power Wagon. I can picture it now, and yup…confirmed, it definitely does feel good owning it just to own it. Being the defacto “car guy” within my little network of friends and acquaintances, I’m routinely asked all sorts of “What car should I buy?”-type questions. The resulting overarching conclusion is this: most car-shoppers these days want a car that can do anything and everything, and do it all well. Today’s buyers want something reliable and fuel efficient, but also roomy, good in the snow, stylish, relatively quick, and fun to drive. 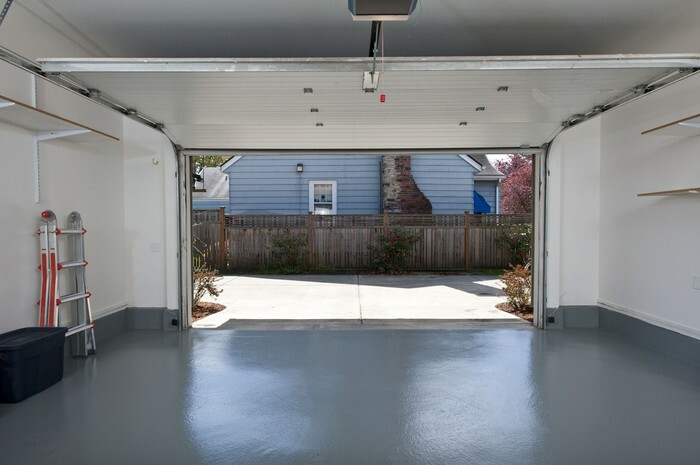 I’ve thought and thought and thought and really, there’s no such thing as a perfect, do-it-all, one car solution. Most cars are developed with a couple specific purposes in mind, and they will excel in those areas while falling short in others. A car that’s fun to drive, stylish, and quick probably isn’t very spacious or good in the snow, and vice versa. The way I see it, you’ll need a minimum of two cars in order to really effectively cover all your bases. Maybe that’s just the car enthusiast [hoarder, errr “collector”] in me, but I think it really does ring true. 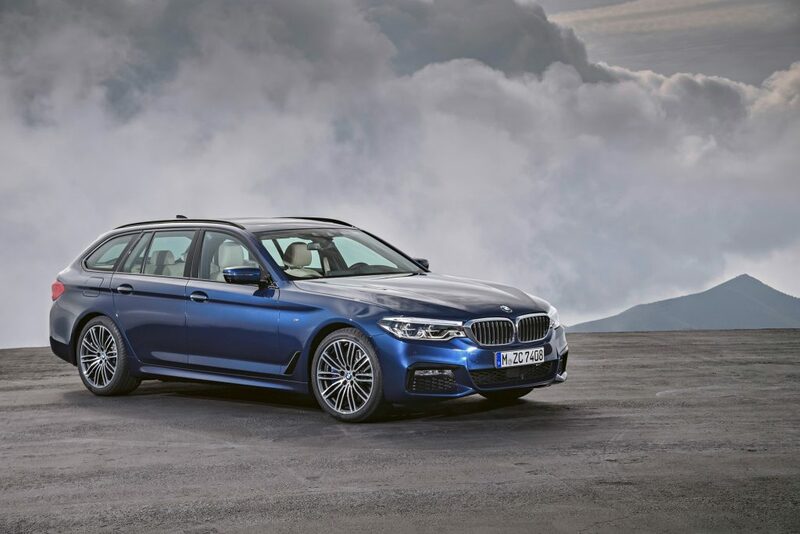 Sure, there are cars out there that the argument could be made for as a do-it-all hero, think BMW X-drive wagon, but does that really do everything well? It’s all relative. Maybe that X-drive wagon is fun to drive when you’re used to a Suburban, but hop in a Healey Sprite or MGA and that BMW will feel utterly watered-down and uneventful. Yeah it looks sharp sitting in traffic, flanked by beige Camrys on either side, but bring it to a Cars & Coffee on Sunday morning and you’ll quickly feel like the odd man out. It’s definitely fuel-efficient, but only until you realize those Camrys get twice the mileage at only a small fraction of the cost of entry. Not so much of a do-it-all hero anymore. My recommendation is always, always, always the same – first, establish your priorities. Have a think, make a list. Is this the car you’ll be counting on to get you through city traffic to the office every morning, year-round? Or is the car more of a summer luxury? Buy the car that best suits your immediate needs rather than wants; don’t try to do too much, because if you do, you will end up with a car that’s very mehhh, just so-so across the board. This ties back to my two car, at least, solution. Need a reliable, cost-effective, street-parkable daily driver but also want to have some fun with it? Budget of $20k? Great, go get yourself a newish Corolla for $13k, or whatever they cost these days. That’ll cover your practical, logical, feel-fine-about-beating-up-on-it daily driver. 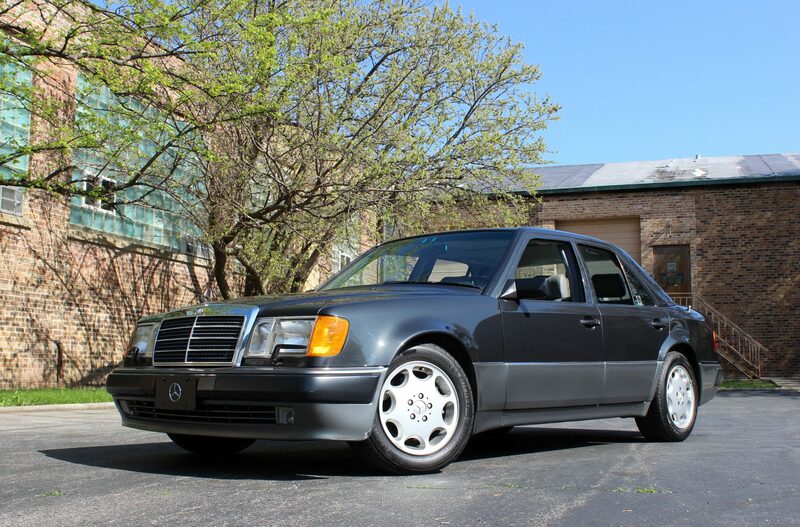 But to address the want, or need in the case of a real enthusiast, for something that’s more enjoyable to drive, that remaining $7k can go a long, long way. Think 944, MGB, e30 and the like. It’s not a car that you’ll regularly drive to the office in, or cross the country in, so go have some fun with it. Find something that you really want, not necessarily need. This is where a classic car makes a ton of sense; it’ll have more sense of occasion than just about anything on the road today, will serve as a social catalyst of sorts, will provide some pride of ownership (unlike the Corolla), and if you buy it right, will be nice and easy on the wallet. But what do I know? 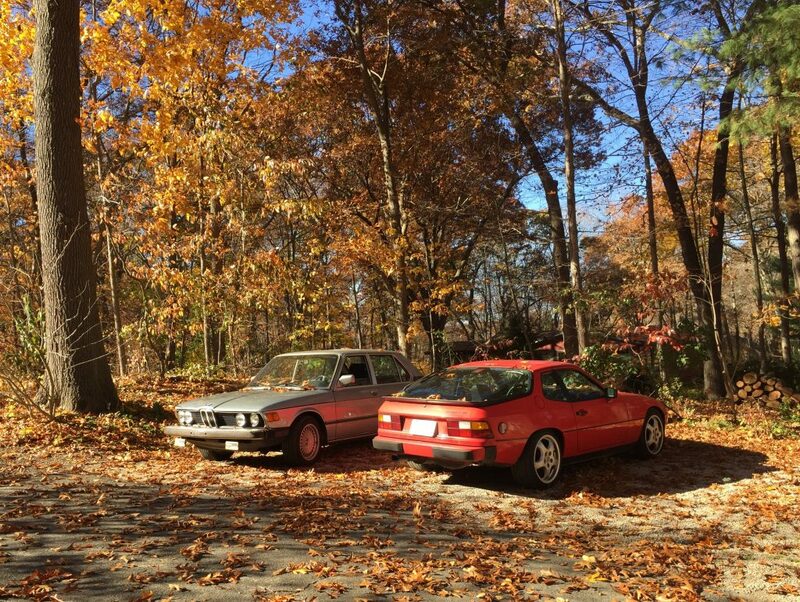 I prioritized fun-to-drive in my two-car solution and ended up with two classic German sports cars. Only one of which is running at the moment, and not even very well, I’ll admit. Hardly a “solution”, but no regrets. Car shoppers, there’s an endless army of Corollas available for chauffeuring from point A to point B at the touch of a button, thanks to the Uber app. 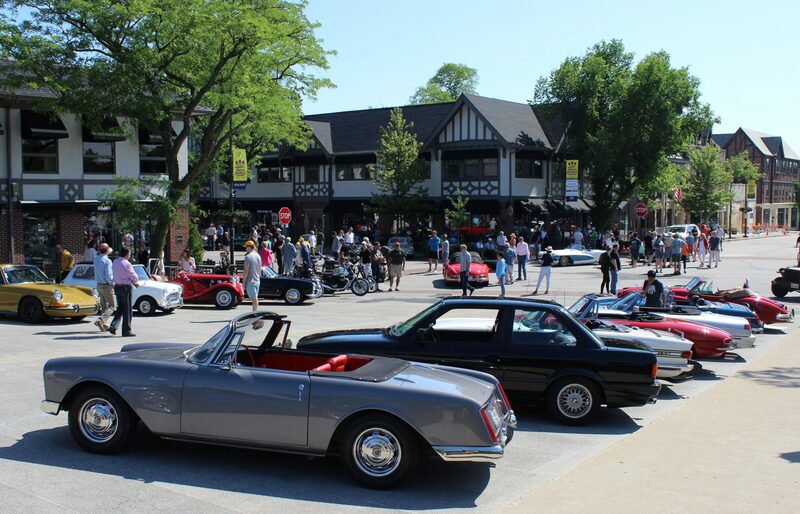 Two classic sports cars and an Uber lifeline….now that’s what I call a solution! 10 of 10, would recommend. Big-Budget Fun Car, What’s Your Move? 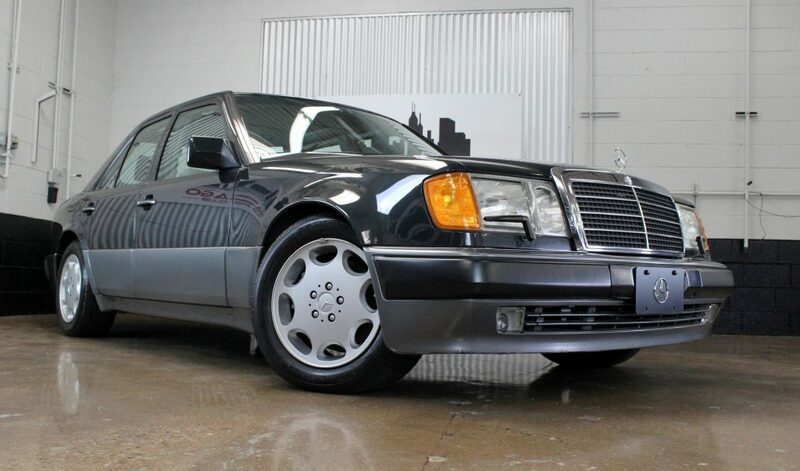 I’ll admit, until I’d driven one, I struggled to grasp just how or why the Mercedes 500e, a relatively pedestrian-looking 90s sedan, could still command sale prices upwards of $50k 25 years after its inception. However, after a few miles behind the wheel, it all starts to make sense; the automotive press in the early 1990s hit the nail on the head, the 500e is best described as a “Wolf in Sheep’s Clothing”. A quick look at the car doesn’t tell the whole story; it’s the background of how the car came to fruition, and the unlikely collaborative effort of two German marques that makes the 500e such a unique, historically-significant, and desirable vehicle. In the late 80s and early 90s, Porsche was in dire straights. Their model range hadn’t seen any major updates in decades, and sales dwindled. On the verge of bankruptcy, Porsche offered up their manufacturing resources to the highest bidder. Mercedes was under market pressure to come up with a hopped-up 4dr sedan to answer to BMW’s M5, which had been ruling the super-sedan segment with an iron fist since it’s introduction in 1985. Mercedes made the most of Porsche’s vulnerable position; Mercedes contracted with Porsche to collaborate in creating the ultimate Autobahn-blaster. Mercedes sent W124 E-class chassis, as well as 5.0L SL-class motors, to Porsche’s Zuffenhausen plant and let the Porsche engineers work their magic. Mercedes executives provided very little for direction, and the execution, clearly, was brilliant. Porsche transformed the very tame W124 into a proper performance machine, fitting the car with stiffer, lower suspension, a Recaro sportline leather interior, bigger brakes, aggressively flared front and rear wheel arches, and larger alloy wheels, among other things. 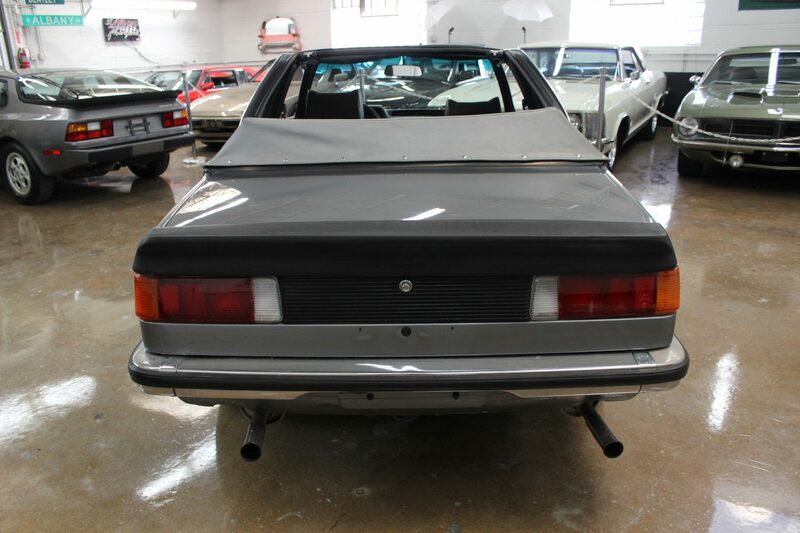 This particular example, which we’ve just listed for sale, is one of only about 1500 to come to the United States. The owner, our buddy Marvin, purchased the car new in 1992 and has only added 25,000 miles over the course of his 26-year ownership. While 25,000 miles doesn’t sound like much, it was enough to come away from the ownership experience with some fantastic, quintessentially-500e stories….. When I asked Marvin how he managed to put so few miles on a car regarded as one of the all-time-great long-haul highway cruisers, his response was priceless. 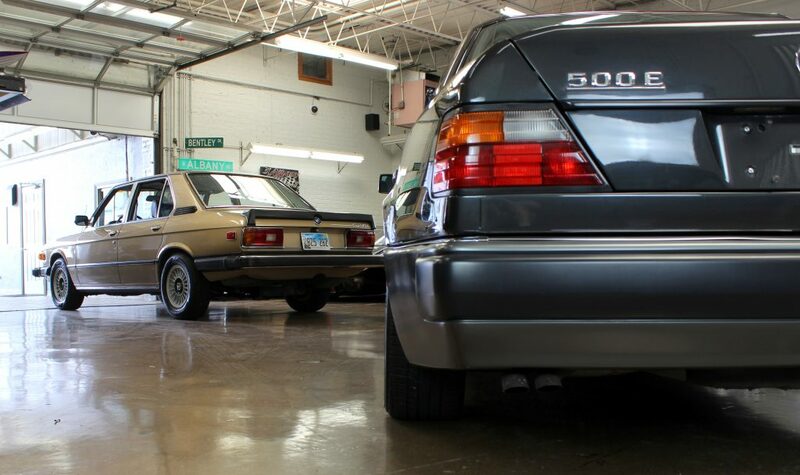 He originally bought the car to be his wife’s daily-driver; she did drive it for a year or so, but after a few thousand miles she handed him back the keys and said “we should trade this in, it’s too fast!” Marvin, being a Mercedes guy and recognizing the significance of the 500e, couldn’t bring himself to get rid of it, so he went out and got her the 300e and held onto his 500e as an every-once-in-a-while driver. 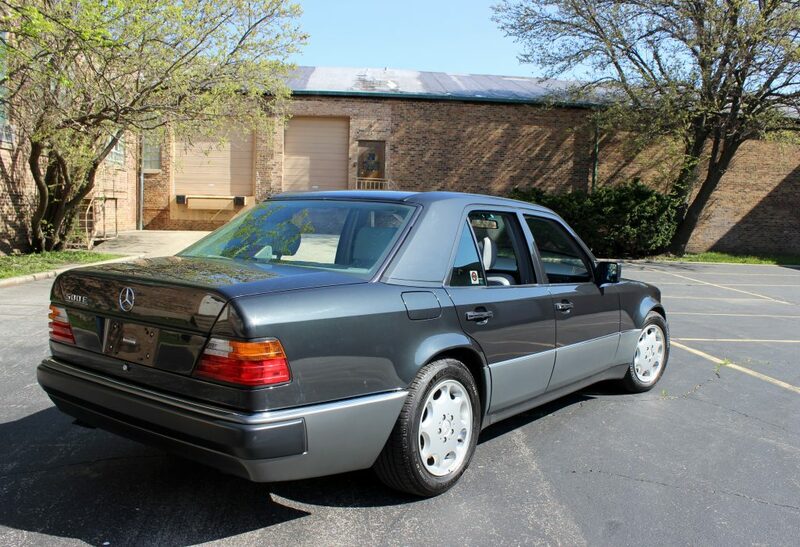 The first time I drove the 500e I was blown away by the immediately-recognizable build quality. The car is rock solid; ride quality is silky-smooth, the car isn’t phased by Chicago’s pothole-ridden streets, and is dead silent from inside the cabin. Speed is effortless, gears are long, and the car truly gives the impression that it’s most at home on the freeway, in the leftmost lane, humming along at triple-digit speeds. When I relayed my initial impressions to Marvin, he chuckled and began to tell me his fondest memory of his 500e. Some years ago, Marvin went on a trip to Vail, Colorado. As he wanted to bring his dog with him, he chose to drive the 1100 miles rather than fly. He drove through the night, arriving in Vail, Colorado just over 14 hours later with his GPS indicating an average speed of 93mph….which included the low-speed miles exiting the city, as well as four lengthy stops to let the dog out, fuel up, and use the restroom. All things considered, he was cookin’! 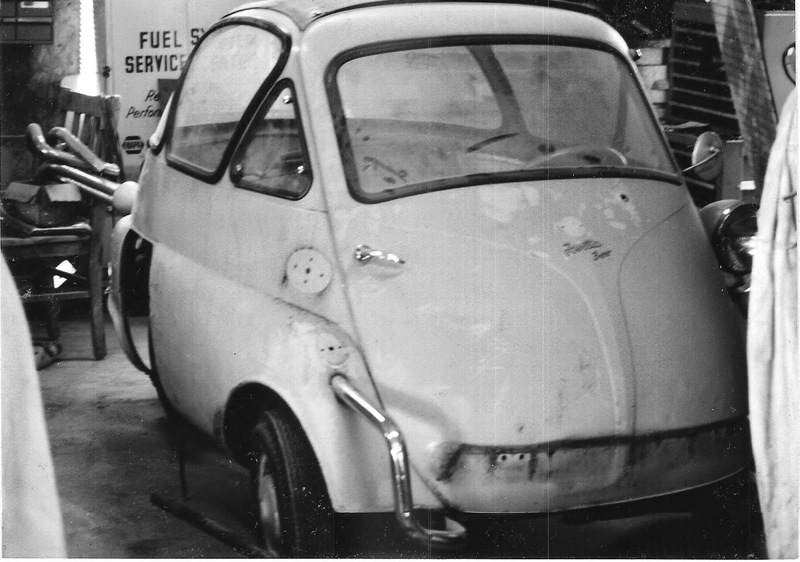 Only now, being in his 80s and downsizing the car collection, has Marvin finally decided to part ways with his 500e. We’ve been tasked with finding the car a new custodian; with it’s one-owner history, low miles, and outstanding condition, this surely won’t be a tough sell! Has there ever been a car that you thought nothing of until you actually got a shot behind the wheel? A car that you never would have looked twice at, but really impressed you with the fun-factor on the road? In the position that I’m in, having been afforded the opportunity to buy and sample a wide variety of classic cars on a regular basis, there are many cars that have made lasting impressions and, in some cases, wiped clear my complete and utter lack of enthusiasm for that particular make or model. I’ll admit, for a very long time early American cars didn’t interest me in the slightest. 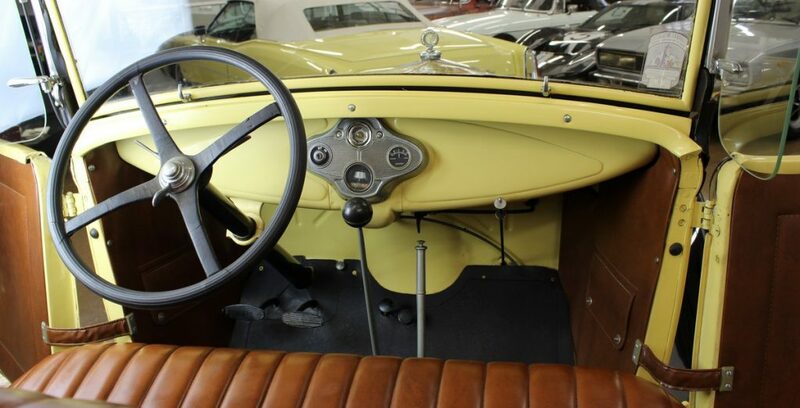 For many years, there was no part of me that wanted to own a car of the 1920s or 1930s, or was even curious as to what the driving experience would be like. 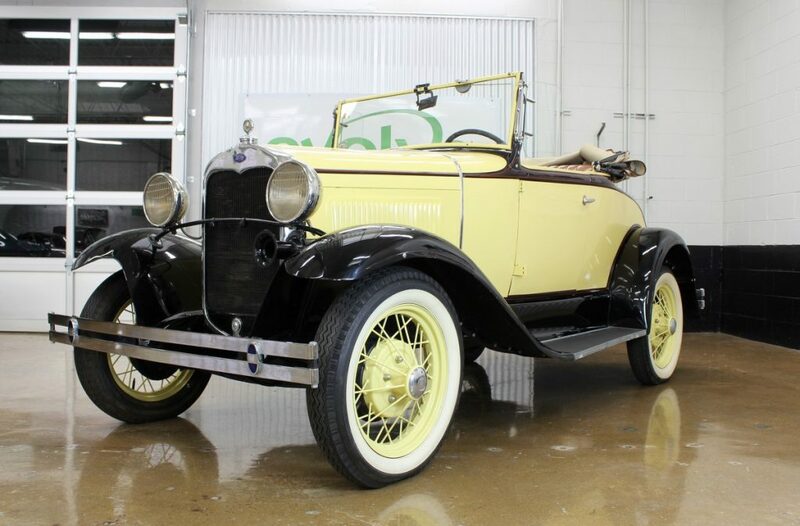 However, not until I spent some time behind the wheel of our ‘31 Ford Model A, which was actually single-family-owned over three generations, did I really come to appreciate and understand the appeal of early American cars. The Model A is a short-distance, in-no-hurry kind of car, but on a nice sunny day when you only have a couple of miles to cover, it really is a ton of fun to chug along in the rightmost lane in a car that’s nearly a century old. There’s absolutely an appeal to driving something with roots where it all started – something that allows you to compare and contrast the earliest forms of automotive technology vs the newest. There’s a beauty and brilliance to the simplicity of these cars; air, fuel, and spark, isn’t everything else a bit superfluous? As someone who frequents automotive-related webpages and forums, I’ve heard over and over, “Miata is always the answer.” For those “What car should I buy?” type questions, Miata seems to be the default do-it-all solution. I’ve never really taken that seriously though; as someone who hadn’t, until recently, owned or even driven a Miata, I took those suggestions with a grain of salt. As I was raised on German cars of the 60s and 70s, I had a hard time imagining a relatively modern Japanese economy car really being enough car to scratch the itch. 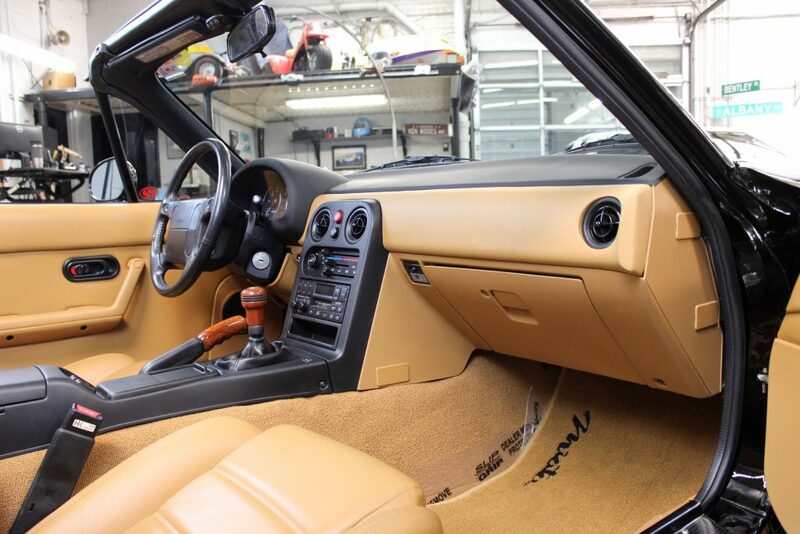 Until last year that is, when we at CCC bought our first Miata, a ‘92 Black & Tan with just 6k miles from new. I was sold on it from the first lap around the block. For me, as someone who has spent a lot of time in Triumphs, MGs, and Austins, I saw the Miata as a surprisingly refreshing modern take on the classic British roadsters that I hold so dear. The Miata offers a similar short-wheelbase, low-driving-position, wind-it-out-to-find-the-power driving experience, but with cushy suspension that doesn’t rattle your bones on bumpy surfaces, a reliable motor that’ll start right up no matter the temperature outside, and airbags that at least provide the illusion that it’s a safe ride. 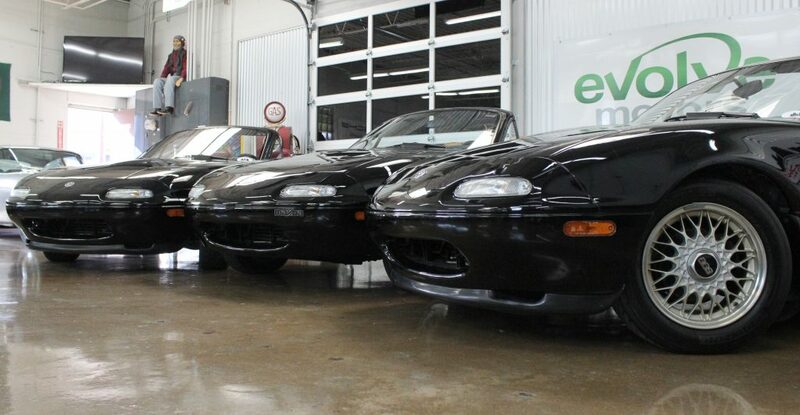 That Black & Tan ignited a first-gen Miata marathon, as we promptly went out and bought three more after getting our first taste. Now when I see “Miata is always the answer” thrown around online, it’s tough to fault the thinking. One of the many highlights of having the opportunity to drive a wide variety of cars is getting to see how different cars evoke responses from different kinds of people on the road. For example, let’s say you’re driving a ‘69 Camaro around town. You’re sure to get a handful of thumbs-up from passerbys, but they’ll more than likely all be from middle-aged guys. 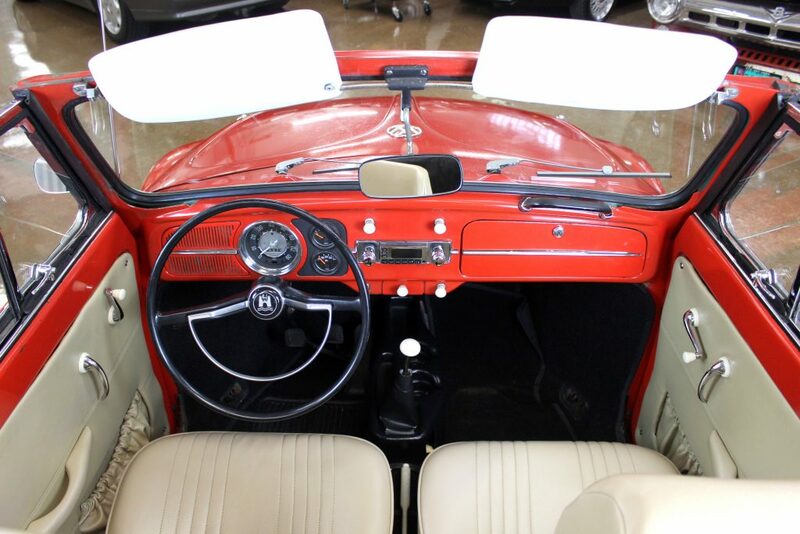 But if you’re driving something like an early Volkswagen Beetle, you’re basically in a thumbs-up magnet. With iconic classic cars like the Beetle, you don’t just get responses from one specific age group or gender, it’s anybody and everybody. Little old ladies walking their lapdogs will point and smile, even toddlers waddling down the sidewalk alongside their parents will take notice and make a fuss. While the Beetle doesn’t really excel in any particular area as far as the quality of the driving experience, the tremendous positive response it garners makes it an absolute blast to drive, ride along in, or even just to be around. 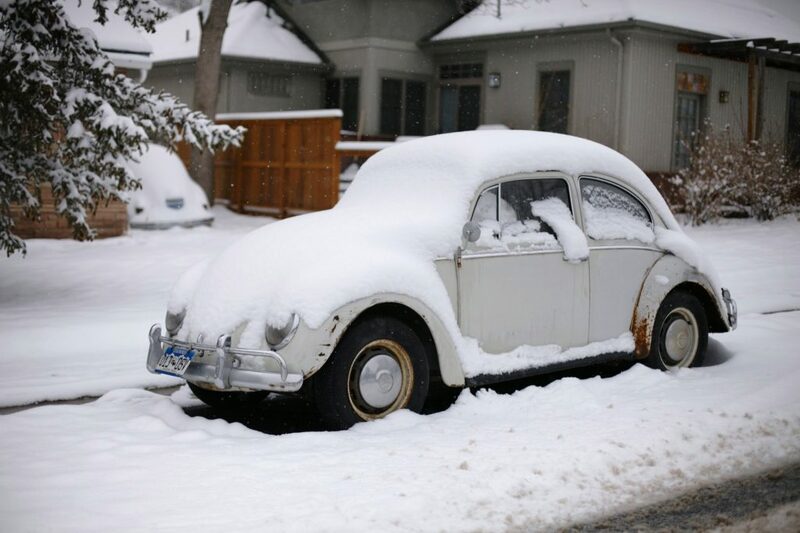 It’s hard not to smile in the presence of an early Beetle. In a hurry? You’d better not stop at a gas station, because you’ll almost certainly be locked into a long, nostalgic, Beetle-related story from the person at the next pump over. 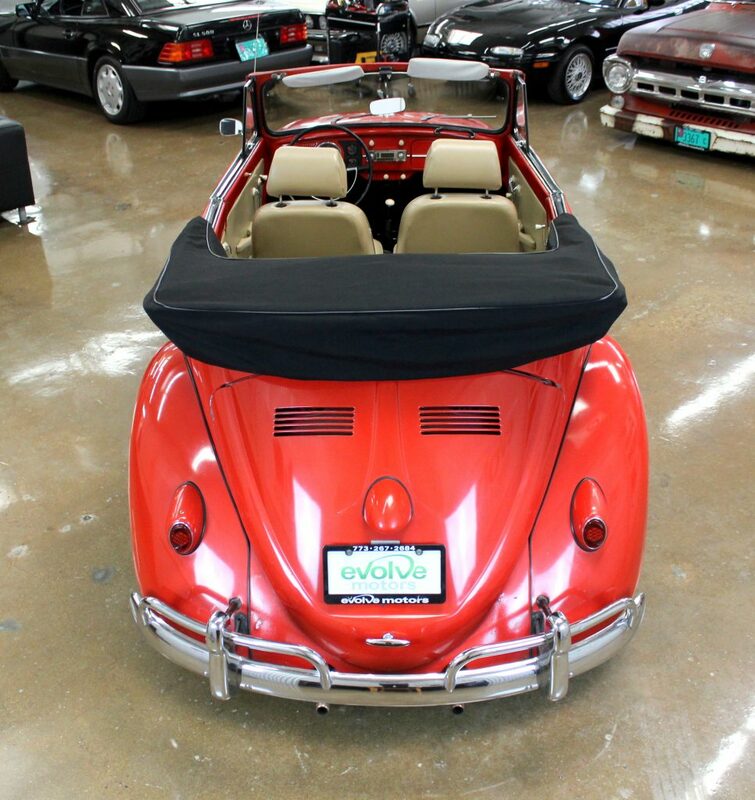 Part of the charm of being a buyer and owning a classic car is being able to share the appreciation for the car with other people, and no car makes that easier than an early Beetle. It’s taken a couple decades of being involved in the automotive hobby, but I’m beginning to see the logic in the “purist” approach to classic car ownership. Don’t get me wrong, I love a good modified car. In certain circumstances, I do think a handful of subtle mods can really set a car apart in the best of ways. However, it’s hard to argue the fact that cars left their respective factories in a certain spec, that spec being exactly the way that the manufacturer intended for the cars to look and feel. While I’ve long been an advocate of tweaking cars to truly make them your own, the older I get and the more time I spend around original, “collector” cars, the more I find myself gravitating towards the ones that are factory-correct throughout. I used to struggle to wrap my head around how buyers and owners of classic cars could resist the urge to do simple mods like increasing wheel size and reducing ride height, but these days I find myself admiring an owner’s choice to stick with their small wheels and cushy sidewalls. 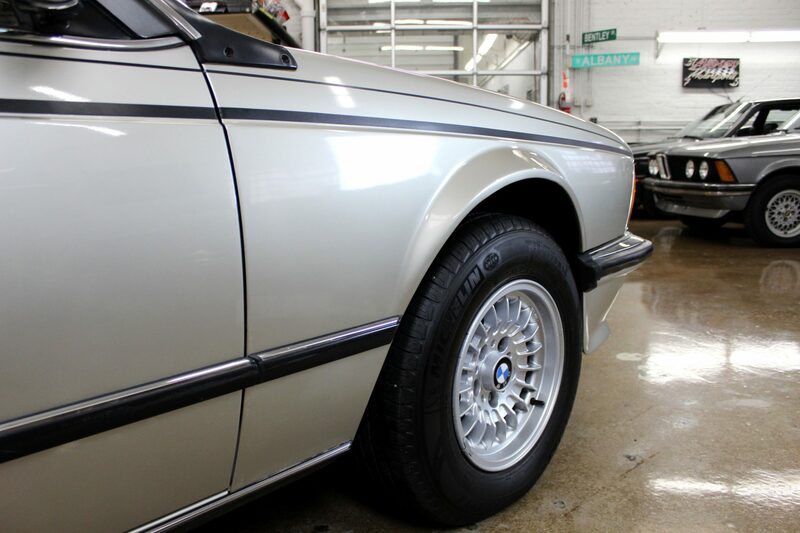 For example, the other day I found myself entranced by a BMW 635csi; oddly enough, the part of the car that I felt really brought the whole look together was the fresh set of Michelin Defenders wrapping the original BMW bottlecap wheels. A creative, clever, or individualistic wheel and tire choice? By no means. 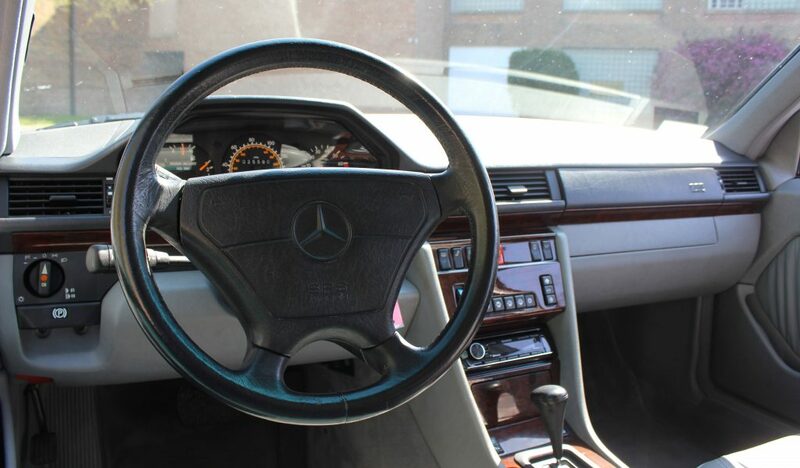 But as an enthusiast and a driver there’s absolutely an appeal there, as that wheel and tire combination creates the illusion that the car still provides the same driving experience as it did in the early 1980s. This appeal carries more weight with certain cars than with others though, as the desire to experience a car in as-the-factory-intended spec is at its strongest, at least in my eyes, with cars that have gone down in history as truly great. When I think of what cars really bring out the purist in me, cars that I’d only own in “correct” spec, there are a couple examples that immediately come to mind. 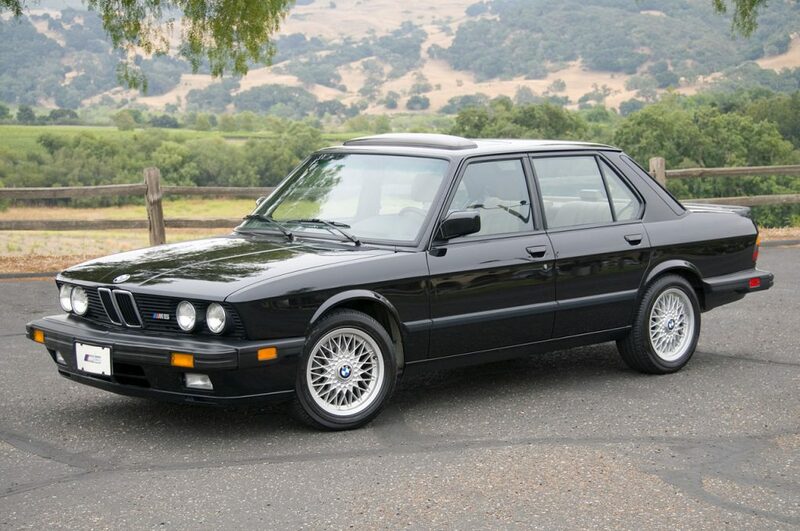 There’s no question that BMW was at the top of its game in the late 1980s. 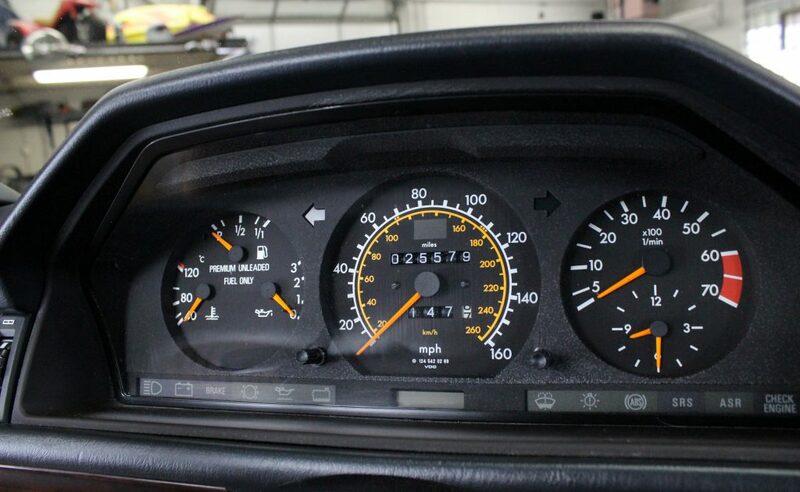 The overwhelming majority of those in-the-know regard the e28 as the best of the 5-series, the e24 best of the 6-series, and the e30 best of the 3-series; all were nearing the end of their production run in the late 1980s. With such a fantastic lineup, I think it’s safe to say that we can trust BMW’s judgment at the time. 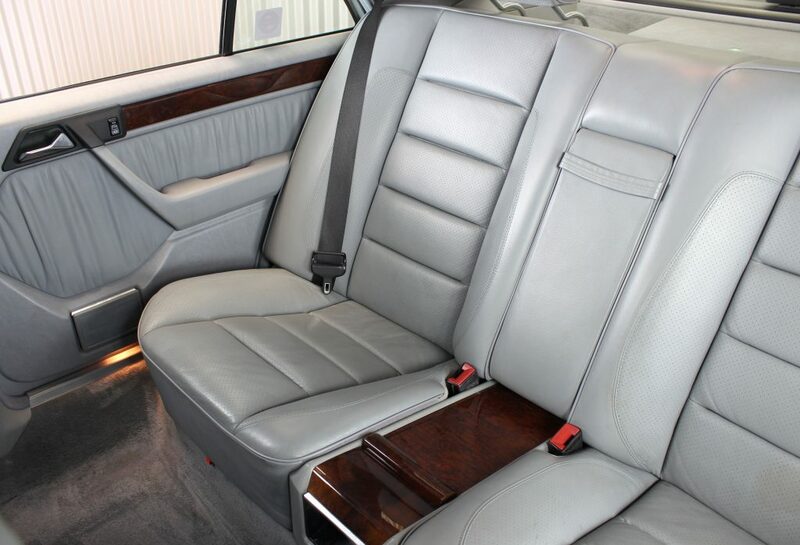 The e28 M5 was only available in North America with one option, heated front seats. 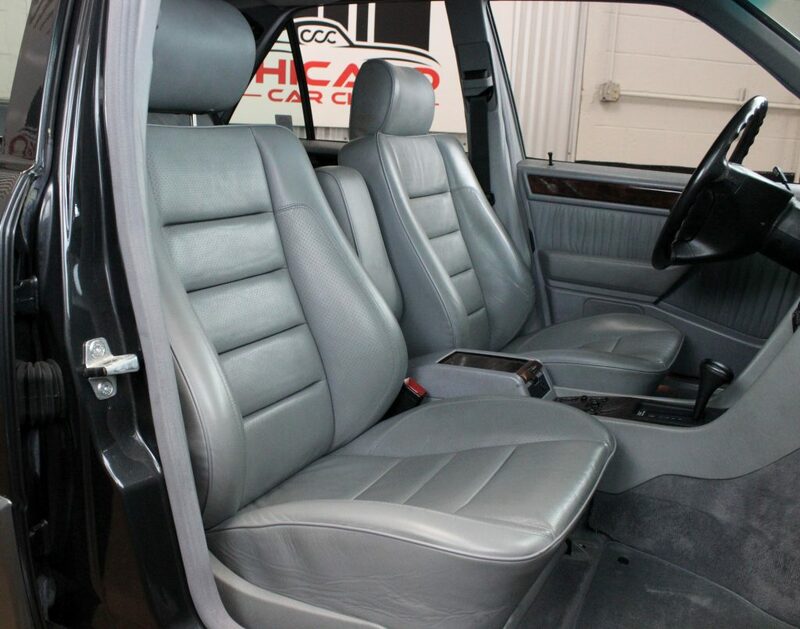 Car buyers had no other say in the spec of their car; BMW ordered that the e28 M5 should be painted jet black, have leather seats, and sit on 16×7.5” alloy wheels and as such, didn’t allow customers to deviate from that. So now, on the rare and tremendously exciting occasion that I encounter an e28 M5, it MUST be exactly that spec. If not, you better believe I’ll question the sanity of the owner. If the factory cared enough to only allow the car to be sold in one particular spec, there has to be something to it. This car NEEDS 15” Campagnolos wrapped in Goodyear Arrivas. With them, the car looks decidedly Italian, but the Nascar-esque white-lettered Goodyears hint that it’s not quite an Italian car. 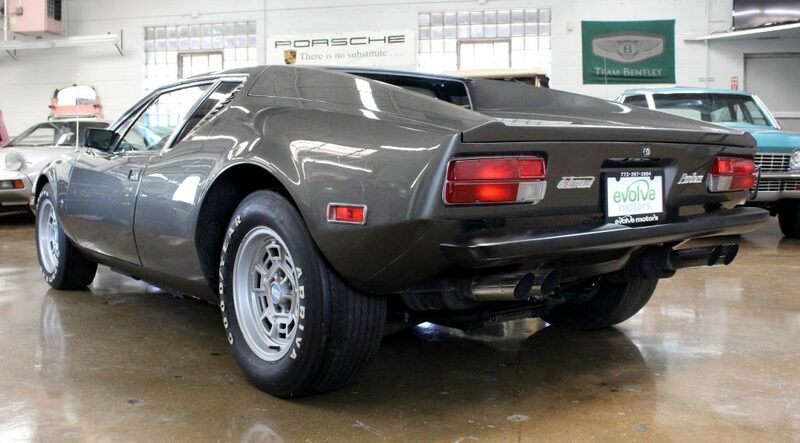 This factory-correct wheel and tire combo suits the car perfectly; the overarching appeal of the Pantera was, and remains, Italian looks with American usability. An elegant, Italian-built body backed up by an American powertrain; this ethos is carried through to the wheels and tires. Campagnolo wheels for the aesthetic appeal, contributing an element of fine Italian design, and purposeful, tried-and-true Goodyear rubber for maximum usability. A decent set of Arrivas is damn near impossible to come by these days, but for a Pantera to really be a Pantera, it’s gotta have ‘em! Call me lame, call me boring, but there’s a very real allure to a classic car being presented in exactly stock form. If you were to tell me that I’d feel this way now some years ago, I’d call you crazy. But now, having been around the block a few times, I’m coming around. I’d even go so far as to classify myself as a purist. As the purist mantra goes, trust in the factory; there’s a reason the engineers did it the way that they did.